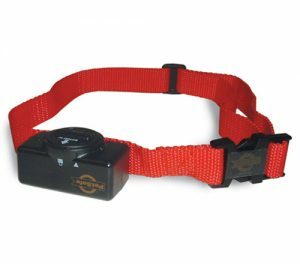 Asking “Does a shock collar work” is a good question and it’s got an easy answer with a few considerations to go along with the answer. A shock collar works, but only if it is used properly. Shock collars should be used to reinforce good behavior and discourage bad behavior. It should not be used as a primary source to punish your dog. The reason being is that your dog simply wants to please you and that behavior is what needs the emphasis. The good behavior. I will teach you how to use a (shock) training or e-collar properly and effectively with this article. What are the different kinds of collar? First of all there is a simple passive bark collar. It simply shocks the dog when they bark. We had a Rottweiler Australian Shepherd cross that used to bark at everything and everyone.. She also barked at nothing. We lived in town at the time and the neighbors were getting ready to form a lynch mob because of the endless barking.. at all hours of the day and night. We got a Passive or Static Bark Collar (Amazon Link) How this collar works is when your dog barks when they are wearing the collar, it will shock them. There are 6 levels of shock, from the snap the rubber band on the wrist shock to OMG, I peed myself shock.. with levels in between. 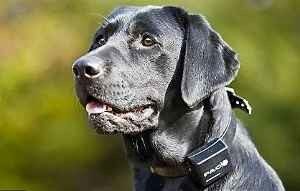 The collar senses the vocal cord vibrations when the dog barks and sends out a shock. I would start on 2 or 3, it WILL get their attention and they will soon associate barking with the shock. Our dog wore this collar for about a week and we were able to put it away. When she did bark, which she did, it was more of a whisper bark that a loud bark. It kept peace in the neighborhood and our dog from having to be removed from our house. If you have a dog that barks and barks and barks and barks, this is an effective method to get them to stop. 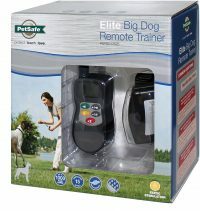 Your next choice for controlling your dogs activities is a Remote Trainer. It is similar, to some degree, to the Basic Collar. However the Remote trainer has a couple of features that I think make it a 10 times more useful. You have a remote control with 15 levels of zing that you use to “remind” your dog when they are exhibiting behavior that is not acceptable. The remote control is good up to about 500 yards when the battery is fully charged. However it works consistently at maybe 100 yards for most battery levels. The remote also has a feature that you use when the dog shows good or proper behavior. There is a green button that you press to let the dog know when he acts or responds correctly that plays a specific tone. If you pair that up with a treat, they soon will associate that sound with good behavior. Wallah! Its not all negative methods in using the Remote Collar. It is also rechargeable. Here is the Amazon Link to the Remote Training Collar if you want to check it out. They are all around $70 – $80 everywhere. Another type of collar is a Perimeter Collar. What it does it shocks the dog when he gets close to a specific border around your property that is established by you. Another name I have seen describe these is the invisible fence. My experience with this kind of collar has not exactly been stellar. When we moved from our place in town to our current house out in the country, we had a problem with Guinness simply deciding he was gonna run at top gallop in some general direction and away he would go. It really was not a big problem except that our neighbors had stock and/or horses. He would have an ADD moment and take off critters that would get us or him in trouble.. and not an easily forgivable trouble. Our solution was to purchase and put into action one of these perimeter collars. The result, in regards to effectiveness were mixed. If Guinness was running full tilt, he would simple run through the “shock zone” and keep on going.. But was a little reluctant to come back without us turning off the fence and going to get him. Sometimes it simply did not work.. he would be out wandering around with his collar on and it was like it didn’t even exist. Other times he would be in the house and head out side, only to get to the dog door and he would get shocked. Needless to say it was not long before we unplugged the invisible fence and built a real one instead. –>> This is the one we had, If you choose to try it or have had better luck, let us know. How do I choose what kind to get? The last thing I highly recommend is to pay attention to the reviews and read both the good ones and the bad ones, that way you get a full picture of what the good and positive features are as well as the those features that are poor or even lacking. Here is a link to the Amazon -> Complete list of all of the PetSafe Dog Training Collars. One of the feature that a lot of brands offer is the ability to add several collars to a single remote. I don’t think that this is a very good idea. The reason I feel this way is because you end up depending on one device to control several dogs. If you are out and about with a couple of dogs and the battery goes dead on the remote or it has signal problems, you are totally screwed. You have no control over any of the dogs. Multiple remotes may seem like a pain.. until you find yourself in the situation described above. Another reason is that you may have dogs that learn at different speeds and different amounts of stimulation are needed to be effective. If something were to happen where you needed to react fast, for me it would be easier to use the remote assigned to a specific collar than it would be to to figure out which collar was in use and what the settings were as exist on a multi collar remote system. Can a shock collar going to hurt or kill my dog? not for the intention that it was designed for; it can cause damage, injury and perhaps death. 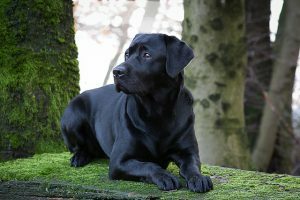 If used according to the manufacturer’s directions and getting advice from people who know how to use them, you should never severely hurt or injure your dog. That being said, a shock to a dog can be uncomfortable to the point that they yelp. If that is the case turn it down, it does not have to be that high. Also remember that a wet dog receives more of a jolt than a dry dog. You can practically guarantee that if your dog was swimming, running in the sprinkler or in the rain and they get zapped, they are going to feel it.. seriously feel it. Remember, you are trying to discourage unwanted behavior not punish the dog. And also remember, that reinforcing good behavior goes way farther and is a more effective method of behavior modification. How can I use a collar to reinforce good behavior? Most good training collars also provide you a method to remind your dog that he is acting appropriately and doing what you expect. The SafePet I mentioned above has a green button that you press when the dog does well. You should be pairing this green button with a treat so the dog understands that there is a reward for good behavior. The sound that is emitted when the green button is press will be associated with the treat which the dog already know is all about doing the right thing. The training will go better, progress faster and the result will be made evident more often when you made the praise/green button/treat the primary part of sculpting your dogs behavior. Good luck with your dog and with working with them to become great well-behaved pets. 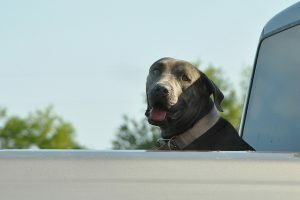 By sharing what I know and have experienced with my dogs, I hope I was able to shed a little more light on the use of a training collar as an effective tool.